Progress on one of my levels so far. Video progress for my (still) untitled game. No idea what to call it yet. I think I know what I’m doing now. Will probably go with this art style with varied lighting across rooms. Needless to say, LD34 was worth the weight. I’m in. Doing the jam this time. So I’ve decided that I want to start focusing more on gameplay in my LD entries. Looking back at all of my past entries and taking a closer look at how they were developed, I usually spend the first 24 hours on engine code. I spend almost half of the damned competition just getting tiles to work while the other people out there using Unity/UE4 or whatever are beaming way ahead of me… and making more polished games in the process. I’d like to fix that this time ? Over the past week or so I’ve been working on a map editor for a non-competition project unrelated to LD, and I figured “Why not use that for the next event?”, so that’s exactly what I’m doing. For the sake of fairness I’ve licensed it under the WTFPL. The code isn’t amazing though. There isn’t that much to it. It’s just a basic map/entity system and a level editor I’ve created to dedicate more time to gameplay. This isn’t an ad by any means, I just wanted to keep you all updated ? For my IDE I will be using IntelliJ Idea, as well as Photoshop for art assets and FL Studio 12 for audio/music. First of all, before I begin, here’s a screenshot! This is a game about rejection. It starts off with you meeting a lovely ladyfish, and then trying to make contact with her once you’ve made it through a number of challenging, rage-inducing levels… Only to find out that you have actually just been stalking her all along and she doesn’t want anything to do with you. I went for something totally out of my comfort zone this time. The game uses only two colors and I tried giving it a really realistic CRT monitor effect. I had a lot of fun making this. The great part about it is that because I wasn’t focusing so much on the art, I had more time to work on the actual storytelling and game design. IMO, I think this is my best LD entry yet. Sometimes you just have to jump out of your comfort zone to make things better ? I had to flip through a bunch of different styles to figure out which one I wanted to stick with, but eventually settled on the old-school computer look. The music and sound effects were also kinda interesting. I did all of the music in FL Studio 12 with my Yamaha keyboard and MPD18 pad controller, with drum sounds / samples ripped from PixiTracker, to which they were then stacked, layered, chopped up and reversed, etc. Anyways, you should try out the game and tell me what you think! This might end up being my best entry yet. This art style is soooo much better than my past games. Damn I’m happy. 14 hours left I guess. Gonna work on adding my own sounds and music in a bit. I have a whole chart laid out of what needs done when. 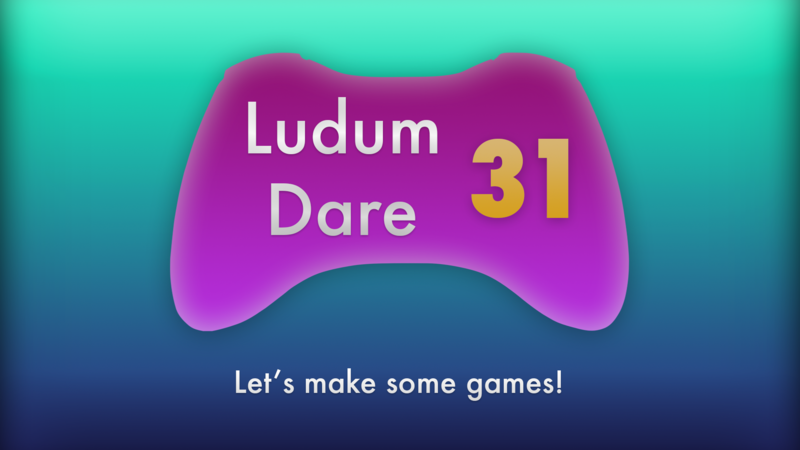 Introducing LUDUM DANCE: Songs to Dev By + Obligatory ‘I’m in!’ post. So for the past week I’ve been working on a playlist for the next Ludum Dare… one that would be long enough to play for the entire competition. One of my biggest distractions during LD is finding music to listen to; I’m either listening to the same artist for hours at a time or I’m just listening to the same song on loop forever. 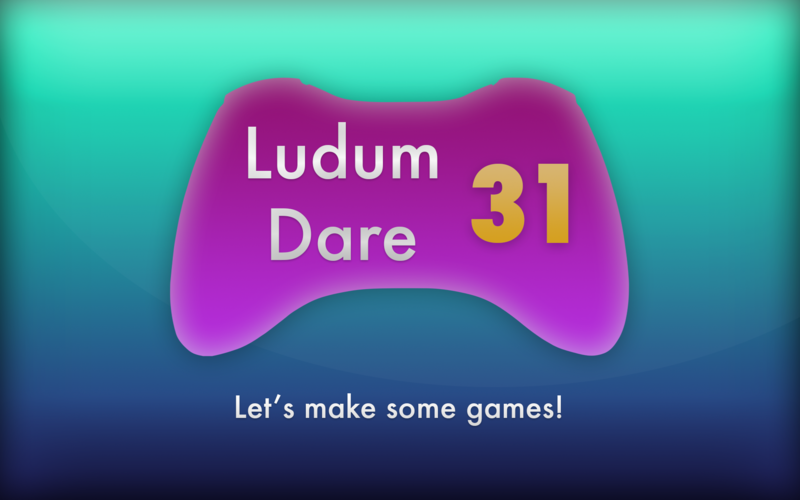 I wanted to fix that by creating ‘Ludum Dance: Songs to Dev By’. This is about 810 songs long and features music in a variety of different genres, namely Glitch Hop, Electro-Swing, Hip Hop, Trip Hop, Vaporwave, Future Funk/nu-Disco, Video Game Remixes, Chiptune, Chillout, and all kinds of stuff! Sorry if there are any duplicates, but if you find any they should be far apart enough for it to not matter. I have to be honest though, I have no idea how long this mix actually is. YouTube used to display the total length of all the videos in your playlists, but for some reason doesn’t do it anymore. Oh well, hopefully it’s close to 48 hours long. Either way, I don’t care. If it’s too short pressing the repeat button isn’t that hard. Now on to other topics. I’m in! How surprising, right?! Anyway I’m gonna stick to my usual setup of Java + Paint.NET. I decided not to make a wallpaper for the event this time, but if you guys want one just leave a comment or something. I had a great LD, and I’ve learned a lot too. Hopefully everybody else enjoyed the compo as well! The pixelart isn’t perfect right now, but I’m still getting somewhere! Obligatory obligatory “I’m In!” post. Gonna be entering this LD, mainly because I have nothing better to do this weekend. I’ll most likely be doing the compo this time. I might be streaming it, but I’m not entirely certain yet. Have fun with this. Let me know if you want any other resolutions.